Our office is located in the central parking square, adjacent to Inn Street, behind the Purple Onion. 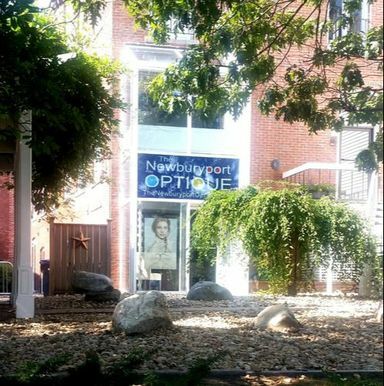 Thank you for choosing The Newburyport Optique. We appreciate the opportunity to become your eye care provider. If you'd like to stop in on a Saturday, we please advise you to call ahead since we are open by appointment. Our hours may vary Saturday to Saturday. ​Please contact us by phone, email, or use the convenient form. Your privacy is important to us. We will never sell or distribute your personal information to a third party.